Best Drinking Spot in Town Trailer: Ma! Only a really cool person would buy booze for some teens, right? Ma will be in theaters on May 31st. Ma opens on May 31st. The film’s synopsis follows. Chris Pratt Heads All-Star Voice Cast for Pixar’s Onward! Set in a suburban fantasy world, Disney•Pixar’s Onward introduces two teenage elf brothers who embark on an extraordinary quest to discover if there is still a little magic left out there. Disney•Pixar has announced that the film’s voice cast will include Chris Pratt, Tom Holland, Julia Louis-Dreyfus and Octavia Spencer. The Princess Without Voice Trailer: Guillermo Del Toro’s The Shape of Water! Guillermo Del Toro has a new film called The Shape of Water ‘an otherworldly fairytale’ set in a secret government laboratory where Elisa and her co-worker Zelda discover something magnificent. The first trailer for The Shape of Water suggests that it might be as indescribable and beautiful and even heartbreaking as his classic Pan’s Labyrinth. The Shape of Water will be in theaters on December 8th. Nominees Meryl Streep and Octavia Spencer To Present at 89th Academy Awards®! Meryl Streep and Octavia Spencer are among the the final presenters announced for the 89th Academy Awards®. Both are nominated for acting Oscars® this year – Streep for the title role in Florence Foster Jenkins (Actress in a Leading Role); Spencer for the role of Dorothy Vaughn in Hidden Figures (Actress in a Supporting Role). Other presenters named who are also nominees are Matt Damon (Best Picture, Manchester by the Sea), Ryan Gosling (Actor in a Leading Role, La La Land) and Dev Patel (Actor in a Supporting Role, Lion). The Oscars® will be broadcast live from the Dolby Theatre® in Los Angeles (ABC, 7/6C). Jimmy Kimmel will host. You’re A Good Person Trailer: Gifted! What’s more important: giving a gifted child a chance to reach her intellectual potential and deny her the chance to be a kid, or allow her to be a kid at the expense of denying her the chance to reach her intellectual potential? Or is there a way to do both? Those are the questions at the heart of Gift, the new movie by Marc Webb (500 Days of Summer). Check out trailer after the jump. Gifted will be in theaters on April 12, 2017. Not Giving Up On Brain Power Trailer: Hidden Figures! HIDDEN FIGURES – Mary Jackson (Janelle Monae) offers some help to NASA mission specialist Karl Zielinski (Olek Krupa). Photo Credit: Hopper Stone. There’s a new international trailer for 20th Century Fox’s Hidden Figures – the story of the black women behind launching astronaut John Glenn into orbit. It features a fair bit of new footage. Check it out after the break. Hidden Figures stars Taraji P. Henson, Octavia Spencer, Janelle Monae and Kevin Costner and will be in theaters on January 13th. Black Women Changed The World Featurette: Hidden Figures! Brilliant female African American mathematicians helped launch John Glenn into orbit. Hidden Figures is their story. Check out the featurette after the break. Hidden Figures stars Taraji P. Henson, Octavia Spencer, and Janelle Monaé. It launches on January 13th, 2017. Pressure Trailer: The Divergent Series: Insurgent: Stand Together! 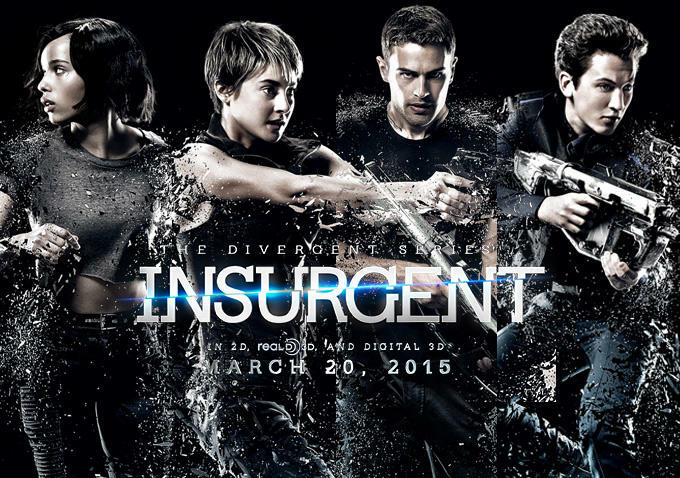 Summit Entertainment has released the final trailer for Insurgent, Part 2 of The Divergent Series. It’s title, Stand Together refers to much more than just the Tris/Four relationship. It’s a heckuva trailer. Check it out after the jump. Insurgent prmieres on March 20th. 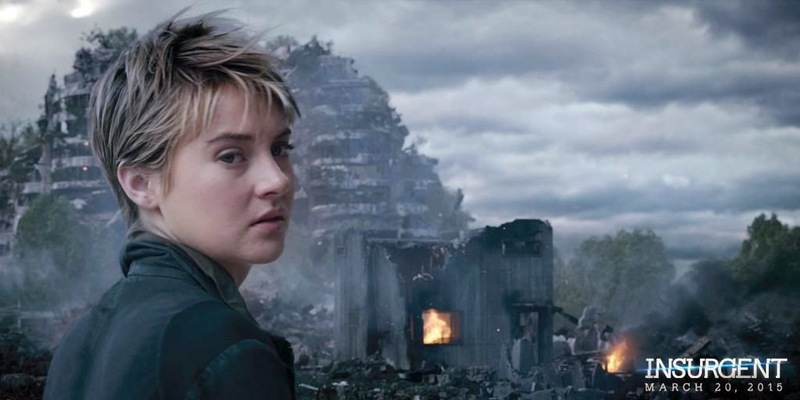 The new trailer for Insurgent is entitled Fight Back. Sounds like a plan. Check it out after the jump. Insurgent opens on March 20th.